For T-shirt questions, please email musicgives@stjude.org. No refunds possible. Make a donation to end childhood cancer. Donate $25 or more and get a Music Gives to St. Jude Kids T-shirt as a gift. 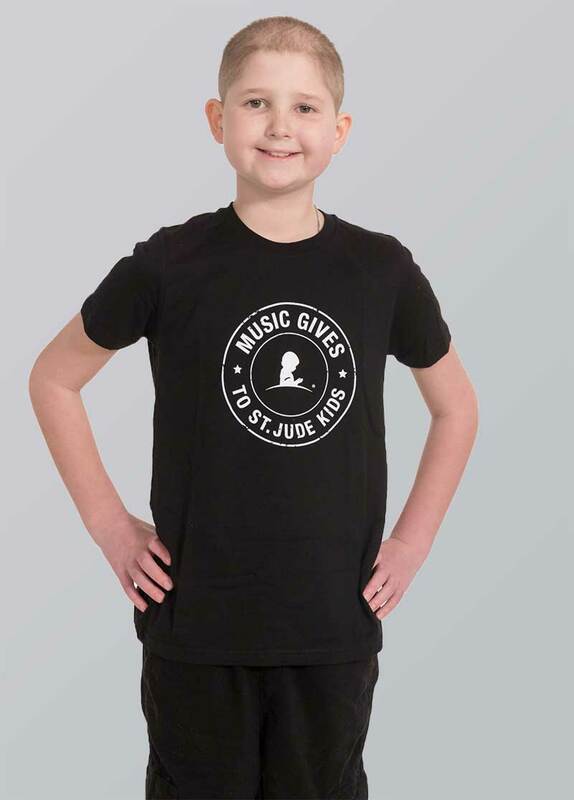 Donate $25 or more to get a Music Gives to St. Jude Kids T-shirt. To receive Music Gives to St. Jude Kids shirt (a $25 value) you must make a minimum one-time donation of $25. Contributions to St. Jude are tax deductible, minus the value of the T-shirt. For T-shirt questions, please e-mail musicgives@stjude.org. No refunds possible. Is shipping address same as billing information?